We’re so lethargic and lazy now in fact that, rather than having our usual week-long discussion about which games are best and how to present our choices and why the games are good and…Well, rather than that we decided to let you lot decide. A reader vote is so much easier on us than having to decide if World of Goo should go in our Top Ten PC Games of 2008 by having a huge fistfight. So, we offered you the choice. We scribbled down the names of all the triple AAA games of the year, plus all the decent indie titles, and asked you to select your Top Three games. We had an absolutely stunning amount of entrants – a number that would be record-breaking even if this wasn’t the first time we’ve done this for the Gaming Awards – and we faithfully counted each and everyone, tallying them up to get this list. So, we present to you the bit-tech.net Top Ten PC Games of the Year according the reader vote. There are some games on here that we’d argue against, some games that aren’t that we’d argue for, and some games we’d argue about just for the hell of it – like the list, we aren’t perfect. So, there you go Tim; the Top Ten Games of 2008 according to the readers. You can’t blame me about how it turned out this year. In our review we complained that Dead Space felt a little bit clunky on the PC and was undoubtedly designed for consoles first, but while that may have held the game back just a little there’s still no denying that it’s one of the best and scariest third person shooters of this year. Arguably, it’s the game that Doom 3 should have been. 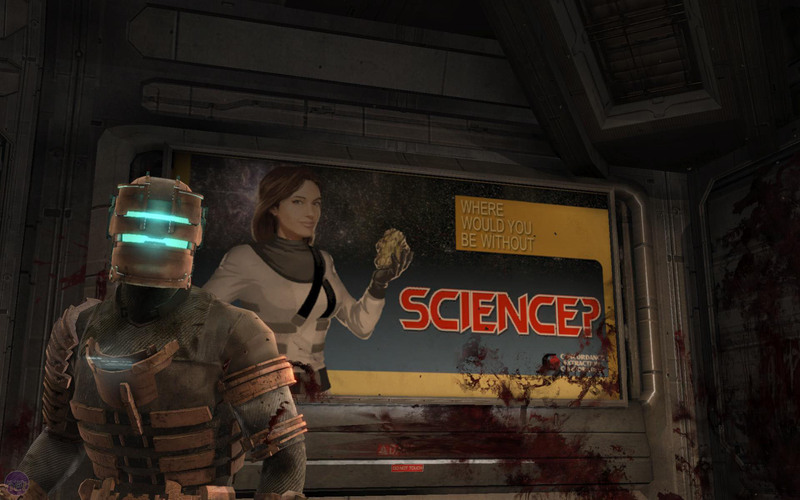 Set on a space station near the arse-end of nowhere, Dead Space is about a rescue and repair team that responds to an emergency broadcast but quickly finds themselves in over their heads. What the team had expected to be a series of purely mechanical failures turns out to be something a lot more sinister. So, yeah, creepy aliens and lots of dark corridors but nothing that hasn’t been done before, right? Wrong. Dead Space was one of the major launches in Electronic Arts’ attempt to reinvent itself as an innovator this year and the title shows off some rather funky in-game effects and mechanics. This isn’t just another over-the-shoulder bullet fest with monsters in closets, this is a lot more clever and subtle. The aliens you’re going up against are surprisingly tough to kill, but can be crippled by blowing off their arms and legs – so a lot of the action is up close and personal. It’s a good thing you have such a big suit of armour on. The armour is for more than just protection though, giving players a holographic inventory system and the option to move in zero gravity. 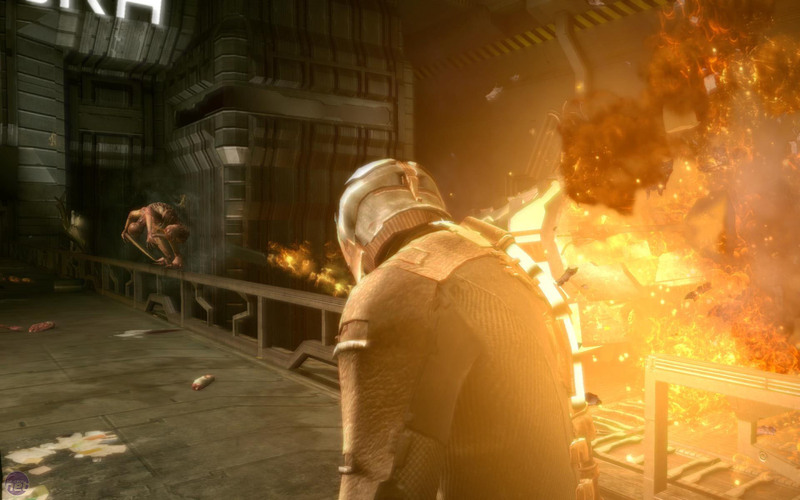 By giving players cool abilities such as physics guns and slow-motion it would have been easy for Dead Space to become just another mindless shooter, but somehow EA has produced something worth more than the sum of its parts and the game becomes a truly rewarding experience. You voted for them, now you can see which games won in our Top 10 of 2010.